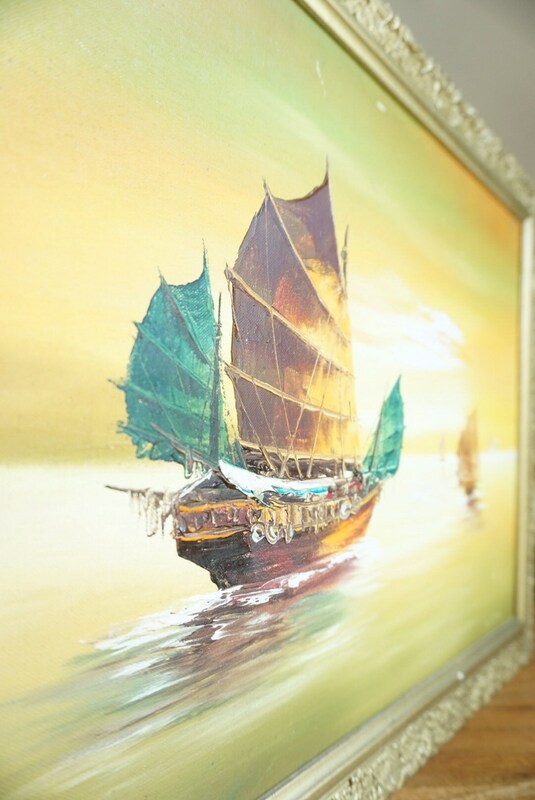 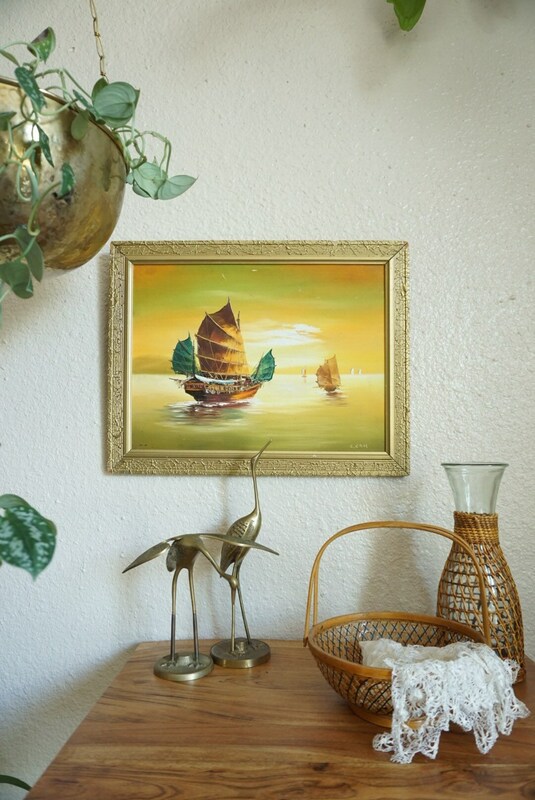 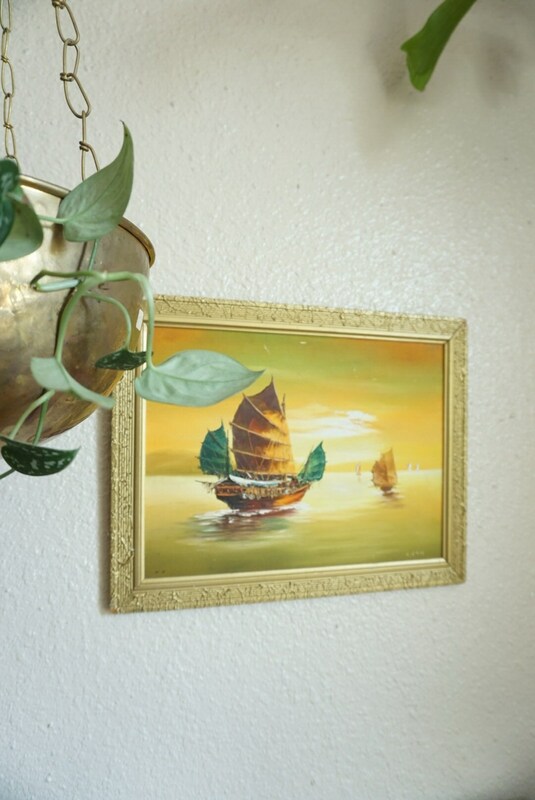 Gorgeous and classic artwork by L. Lam, depicting fishing boats sailing towards a sunsetting horizon. 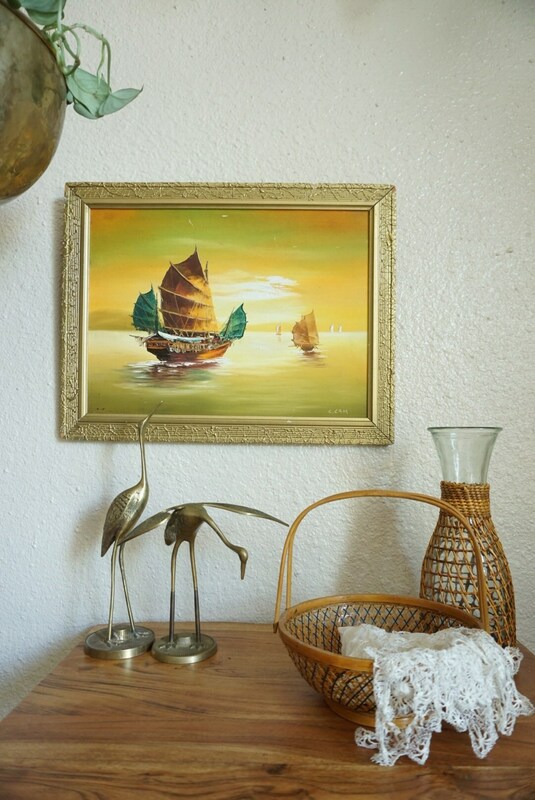 Beautiful gradient of orange and yellow colors. 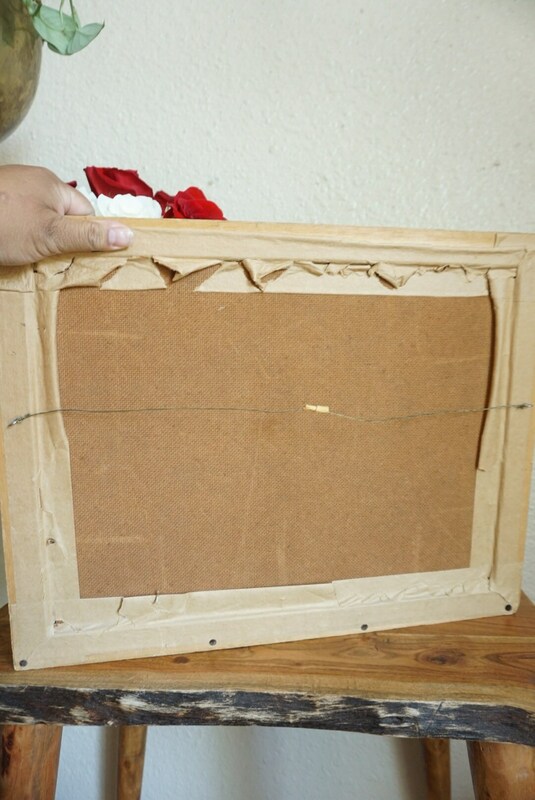 Gold resin frame with metal wire in the back. 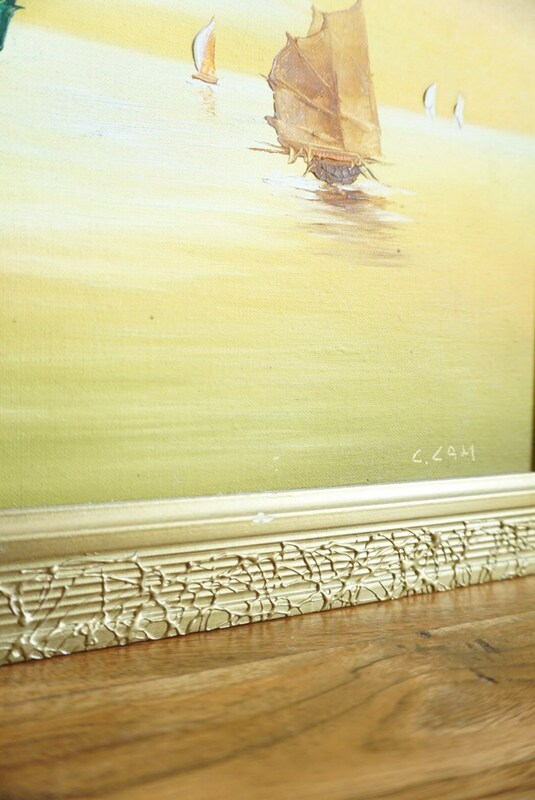 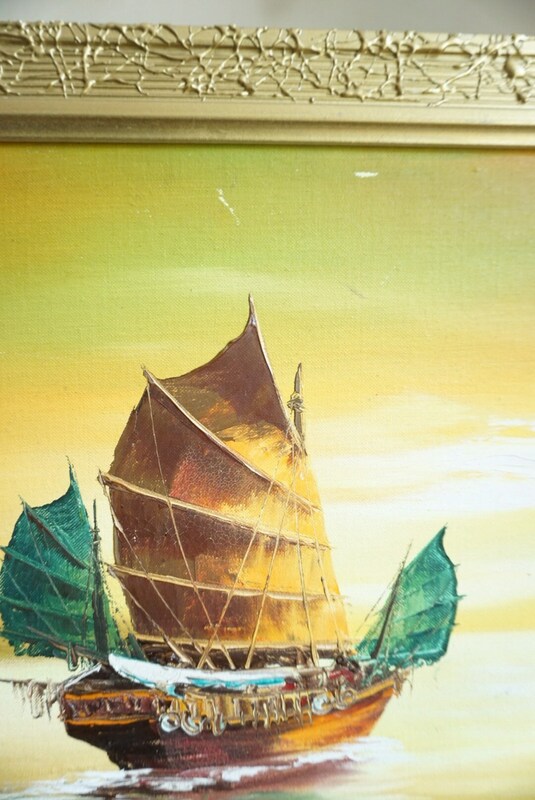 Vintage condition with four white marks on the upper top of painting. 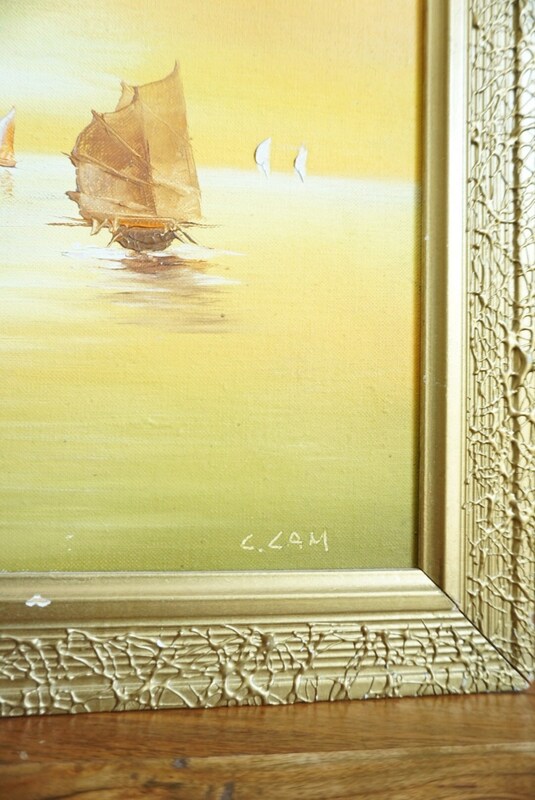 A few knick spots on the frame.